If you are wondering how much will the foldable Galaxy F cost, and when will it be released, Korean media today fills those knowledge gaps in. First off, Samsung is so confident that the Galaxy F (or whatever it gets named) and Galaxy S10 are unique enough in their own right, that it will unveil both handsets simultaneously at the February 20 Unpacked event it is holding next month. A senior Samsung official has commented that "the folder phone will be released at twice the price of a premium phone, so a strong user case is needed." That for Samsung seems to be the unique form factor that brings abilities like running three different apps at once, or unfurling in a tablet-sized media consumption machine when you need it for watching videos or browsing. The Galaxy S10, on the other hand, is reiterated to have a punch-hole display where the front selfie cameras are housed in an opening in the display itself, and the rest is a screen real estate that you can use to your heart's desire. That goes even for the dual selfie camera of the S10+, too, whose two sensors are housed in a small elliptical opening at the top right of the phone as you can see in the live leak of the phone. In addition, the Korean publication speculates another added value of the Galaxy S10 that Samsung bets will be superior to the competition, and this is the eventual in-display fingerprint scanner. Samsung put off employing such a biometric component because optical and first-generation ultrasonic in-display readers were a bit slow and cumbersome to use compared to those in the home button, side or back of the phone. In the Galaxy S10, however, it is allegedly using a second-gen ultrasonic scanner that reads through a thicker cover glass quicker and is reportedly more responsive than anything currently on the market. We can't wait to test that rumor next month when the Galaxy S10 launches together with Samsung's unique foldable phone. twice the price!? Hard pass! no thanks. Well they do say "strong user case is needed" , if you don't need it you don't buy it . I definitely would love to buy this but. (Typing from my $350 iPhone 7) Jokes aside, you are correct. This is how I have been feeling with all good flagships. Sorry your typing on a cheap phone. I knew you were wishing mom or dad would buy you a new android flagship phone. “Twice the price of a premium phone” What is the price of a premium phone?? Safe bet for foldable phone is $1500-2000 I guess. I will probably pass on the first generation and wait for the second generation if there is one. Where’s techie at? Haven’t seen in the comments for a while. Techie goes by a new name now...he's not hard to spot lol. I think he was banned because his comments were usually longer than the articles lol. I do want it, but not a day 1 purchace. I will wait a few month see how it goes with reviews and reduction in price. Twice as much huh? Cost and worth I guess. If it's worth it to you, you'll find a way. There goes by day 1 purchase goal it the damn window. 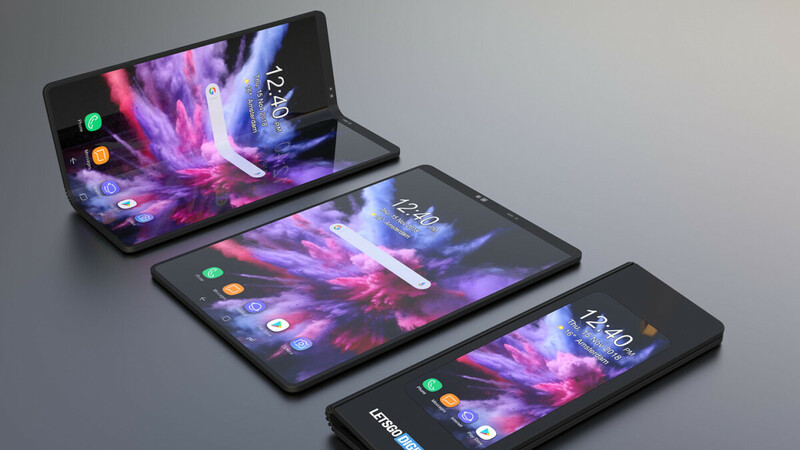 This is a 1st gen foldable phone, and still in development which they can only produce only 1 million units. If it is too cheap, consumers will complain not enough stock. If consumers like it, of course it will reduce the price and boost development & production. Don't expect a perfect device with no bugs especially for a 1st gen phone.